After graduating from the George Washington University in 1977, Alan Cohn began his career in the healthcare industry while studying at the University of Baltimore School of Law. During this time, Alan Cohn balanced his academic pursuits with a position in the Health Care Financing Administration’s Office of the Attorney Advisor when Leonard D. Schaeffer was the Administrator. After graduating Law School and passing the Maryland Bar, Mr. Cohn joined and quickly grew his family’s small healthcare business which became Spectera and was sold to United Health Care. Following the sale of this business, Mr. Cohn established a mail service pharmacy, which he dramatically grew and sold. After selling the mail service pharmacy company in 1992, Mr. Cohn began his turn around work with Avesis, an almost bankrupt provider of discount hearing, vision, and dental plans with less than $3 Million in revenue. Also during the 1990s, Alan incubated, turned around and sold companies in the health care software and physician pharmacy dispensing areas. One company that Alan helped incubate was Physician Dispersing Systems which was sold to Allscripts just prior to it’s IPO. 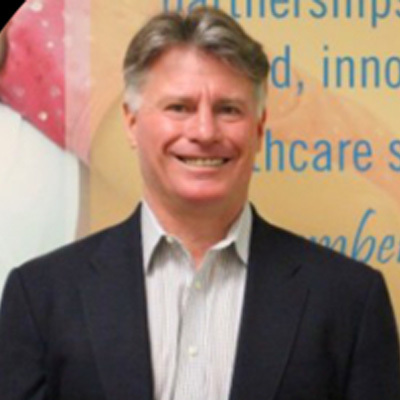 During the successful turn around of Avesis, Mr. Cohn took control of the company and became the president and CEO of Avesis and incubated and grew its new subsidiary, AbsoluteCARE. Alan sold Avesis in 2016 to The Guardian Life Insurance Company of America. At year end the company insured approximately 9 million members through 60 Medicaid/Medicare/Commercial health plan contracts and 10,000 employer contracts with annual revenue exceeding $450 Million. Prior to the sale, Alan spun off AbsoluteCARE as a stand alone company. After the successful sale of Avesis in 2016, Mr. Cohn continues to head AbsoluteCARE, an Ambulatory ICU Medical Center organization. As the company’s president and CEO, Mr. Cohn ensures the effective delivery of holistic, intensive patient-centered primary-care services to individuals who are persistently high cost with complex social, behavioral and multiple chronic illnesses at it’s five medical centers in Atlanta, Baltimore , Philadelphia and outside of Washington, DC. AbsoluteCARE plans to open an additional 10 locations over the next several years. Alan has been happily married to is wife Robin for 39 years. They have 3 children and 7 grandchildren. They are residents of Singer Island Florida and still maintain a home in Baltimore.